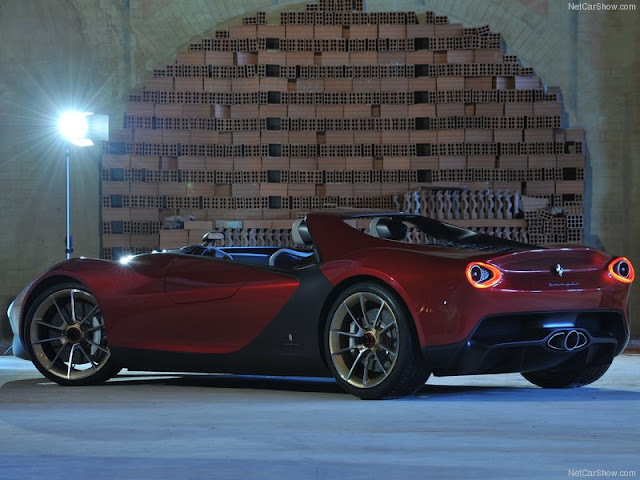 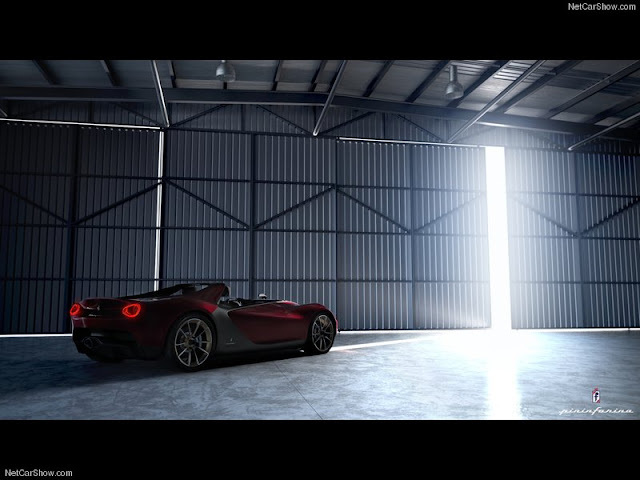 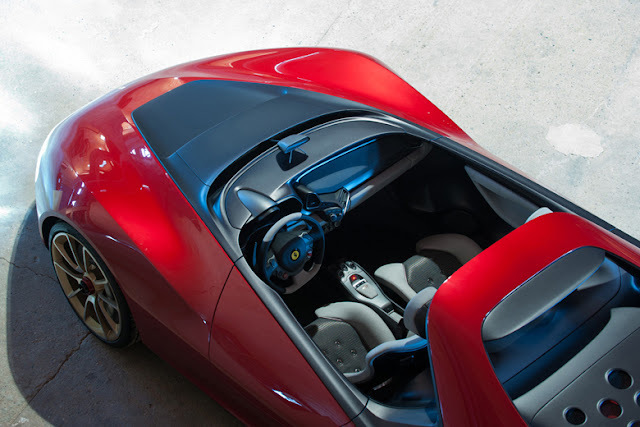 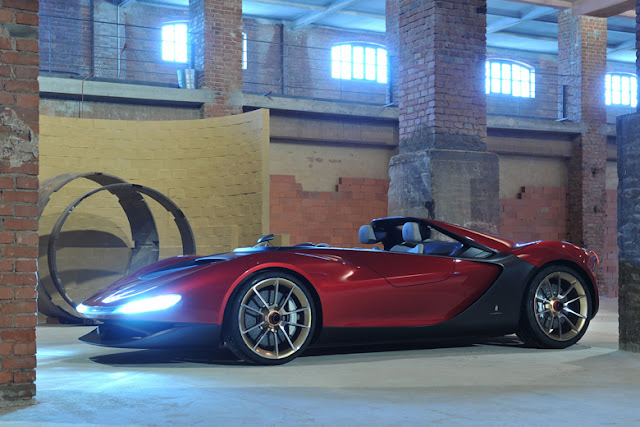 The 2013 Geneva Motor Show was the perfect stage for presenting the new Pininfarina Ferrari Sergio concept car, a futuristic re-elaboration of Ferrari’s glorious past: the name itself is a tribute to one of the most famous Italian car designers, Sergio Pininfarina, who has been linked to Ferrari for a long period of time. 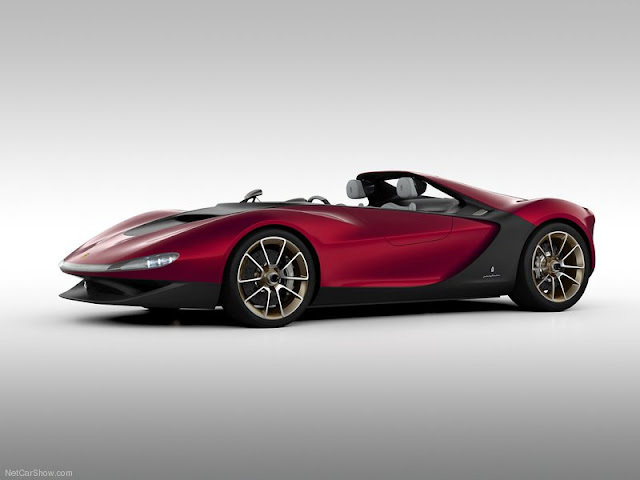 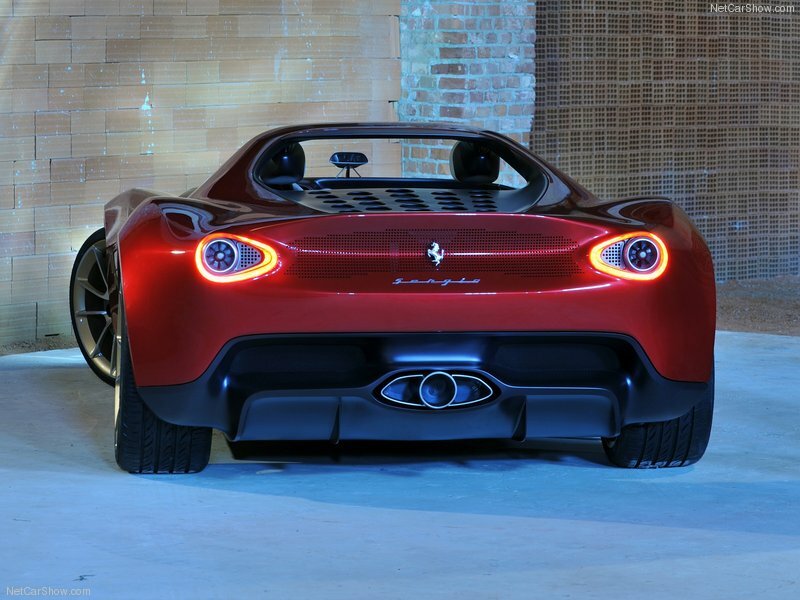 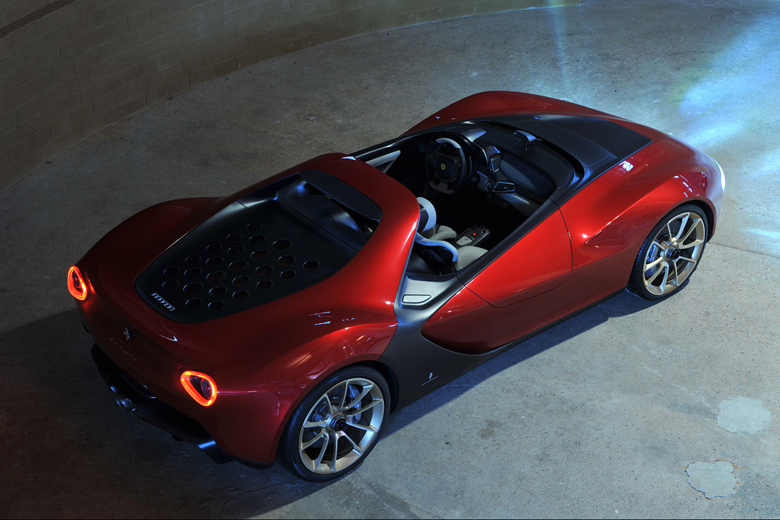 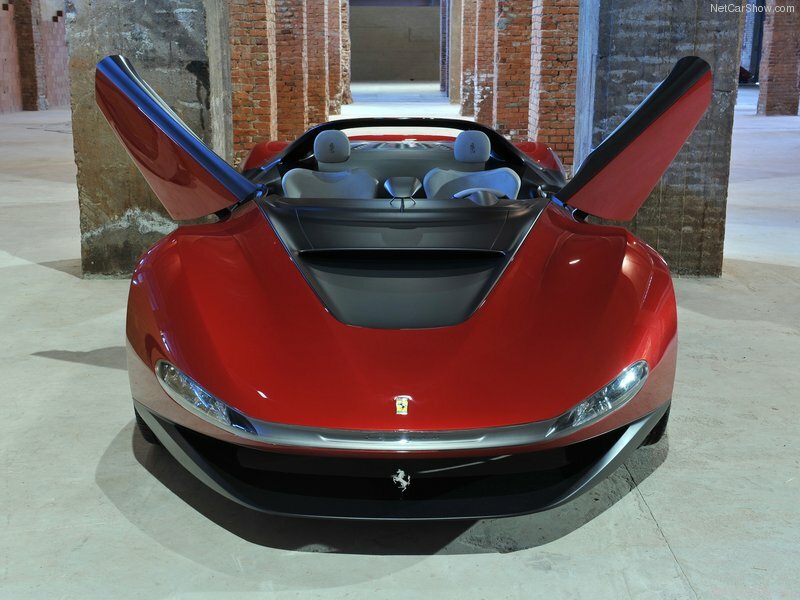 Pininfarina Ferrari Sergio is the concept of a two-seat “small boat”, a model that has always been conceived as a form of expression of one’s passion for driving. 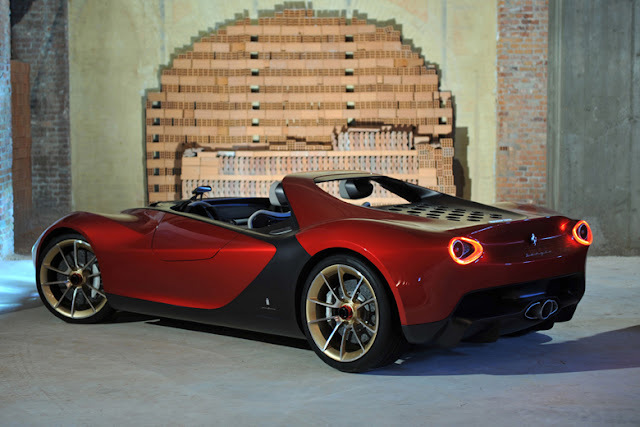 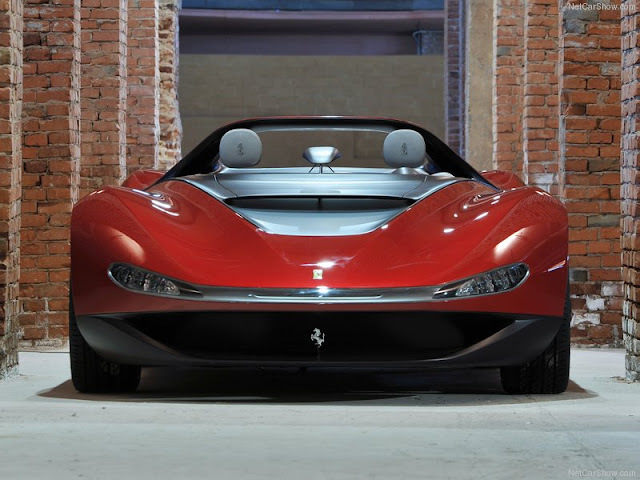 The indissoluble link between Pininfarina and Ferrari, born in 1952, has been creating some of the most appreciated sports car in the world, and the actualization of a classical Ferrari model, such as the two-seat small boat, seems the perfect mean to link past and future. 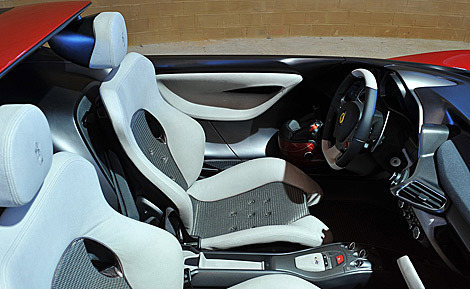 From a technical point of view, performance standards are as follows: 0-62 in 3.4 seconds and a top speed of 199 miles per hour, courtesy of Ferrari's 570-horsepower 4.5-liter V8 engine. 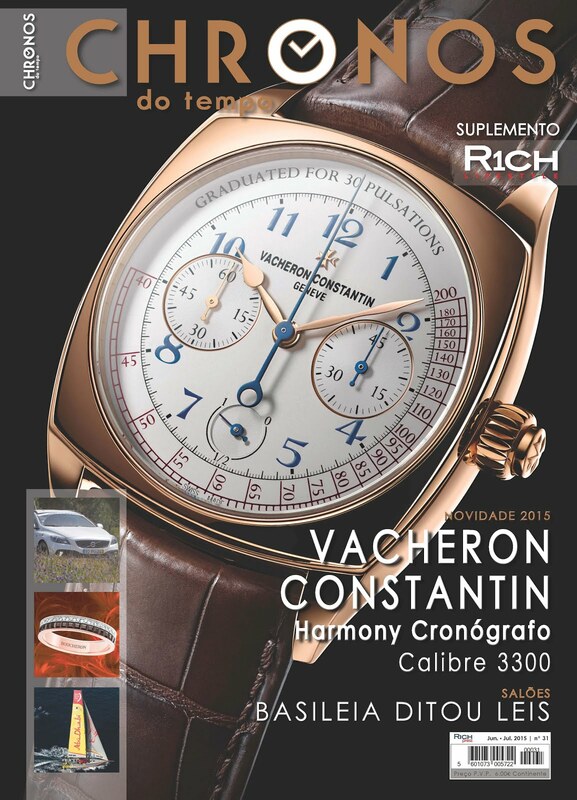 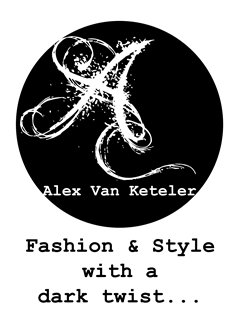 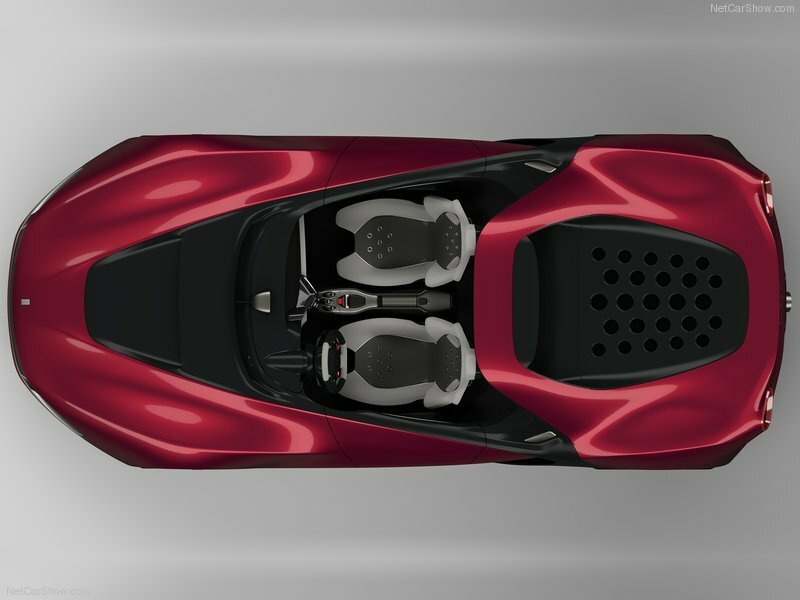 It is the design sphere, though, that plays a central role: radical, exclusive simplicity oriented to optimal performance definitely leads the way. This approach is evident thanks to the absence of windshields, compensated by the customized helmets for both driver and passenger. 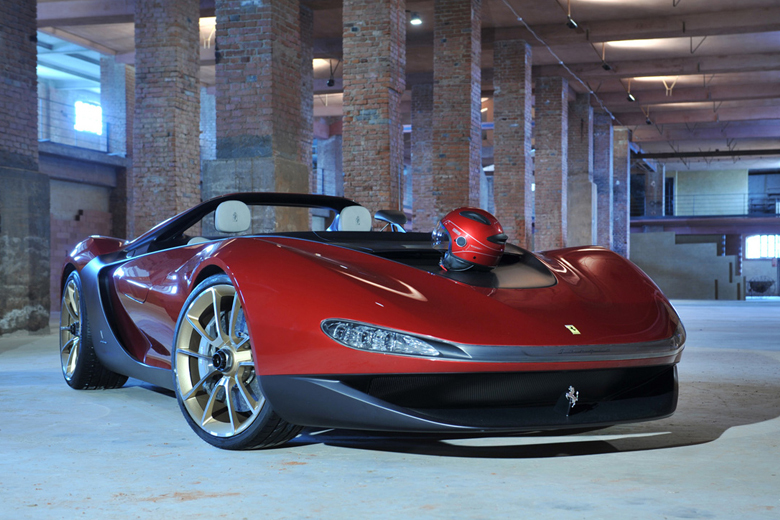 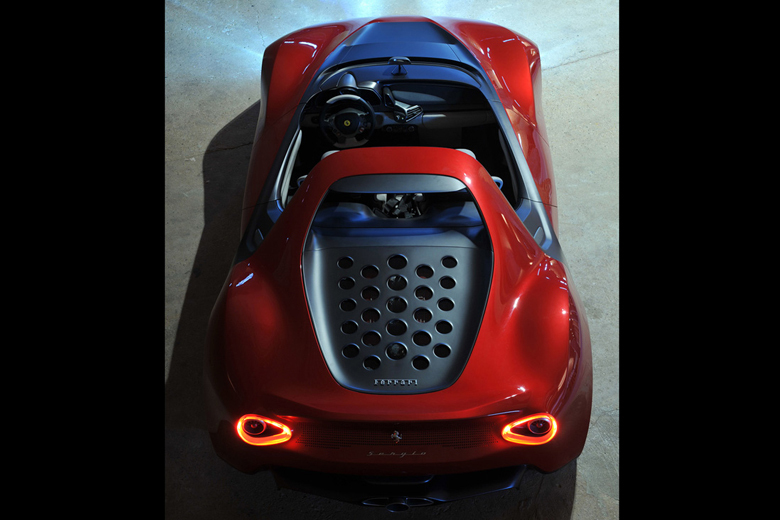 Together with the unforgettable Ferrari red colour, this Concept car is a celebration of Pininfarina DNA in terms of design: shapes are minimal and morbid but still well defined, and every single part of the car is fruit of a study of aerodynamic, which results in extreme lightness of the whole structure. 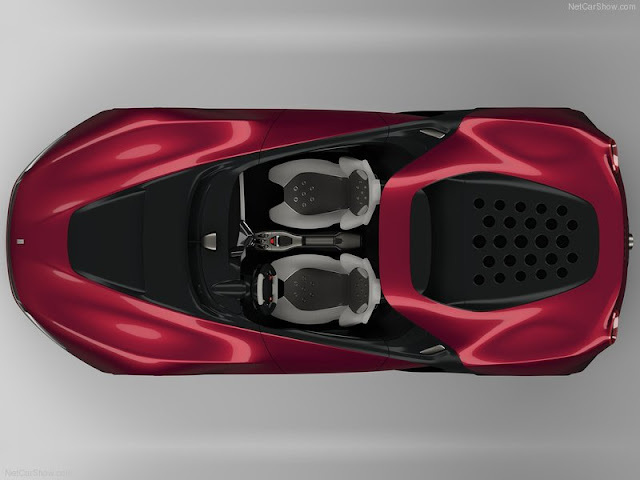 Distinctive traits of this car are, no doubt: the black longitudinal graft connecting the limber with the posterior part of the body; the car door vertically rotating to facilitate the access and safeguard, at the same time, the maximum rigidity of the structure; the futuristic re-elaboration of beacons which are integrated through a unique transversal transparent element. 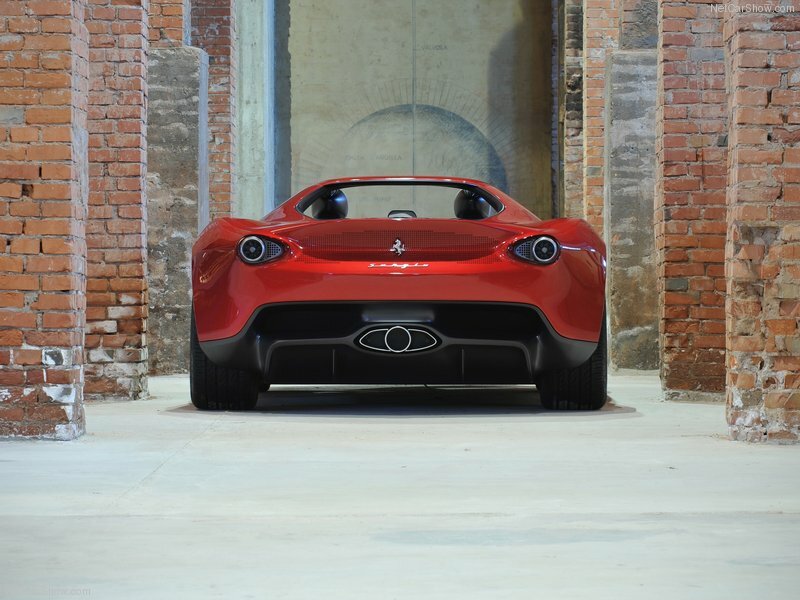 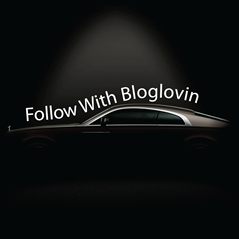 Last but not least, it is worthwhile mentioning that all the technical parts are concentrated in the dark side of the bodywork, a concept that leaves free every part in red and exalts the purity of Pininfarina style.